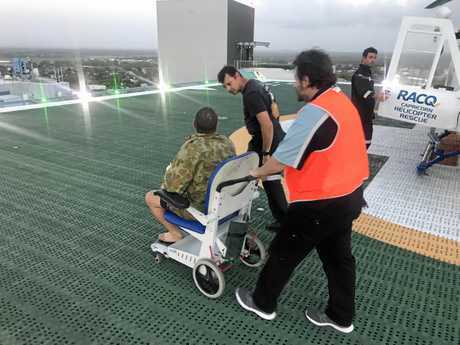 WHEN Tom Langley saw the helicopter that was coming to rescue him, he said he was so relieved his "heart nearly fell out”. 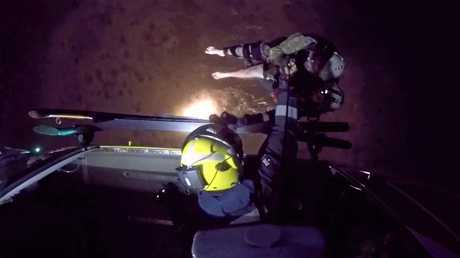 After spending hours lost and injured in the mangroves at Corio Bay on Saturday night with only an iPad for light, Mr Langley was winched to safety by the RACQ Capricorn Helicopter Rescue Service. 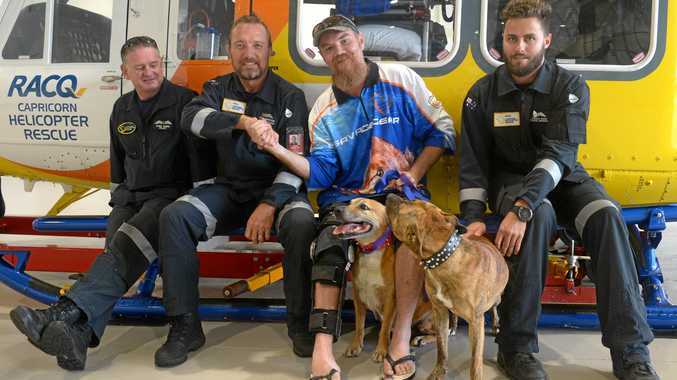 He had been riding his quad bike with his two dogs, Karma and Beans, at the popular fishing spot east of Byfield when he became bogged in the soft sand. As the tide came in, Mr Langley became stranded and had swim to safety without his dogs, who wouldn't go with him. "It was the worst thing I've ever had to do,” he said. "They just wouldn't come with me. "I didn't think I would see them again. Karma, 13 years old, and Beans, only one and a half, spent two nights at Corio Bay and were reunited with an ecstatic Mr Langley on Monday. 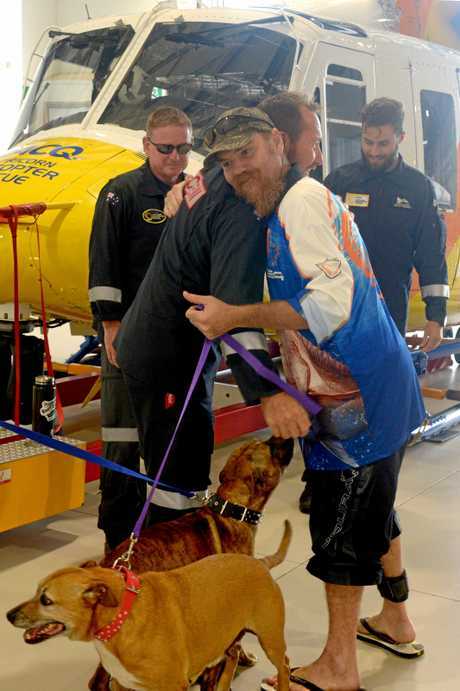 "I'm feeling pretty bloody stupid, but I am feeling very blessed to have my dogs back,” he said. "How they made it up to where they were I have no idea, they've got more heart than me and way more strength than me. 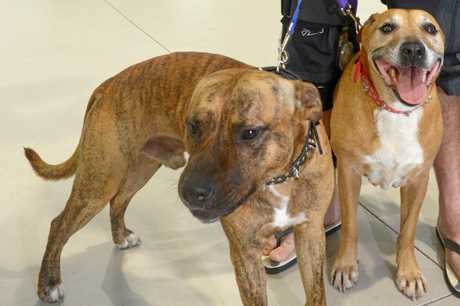 Mr Langley said he was overwhelmed to see how the community rallied behind him to get his two best mates back. 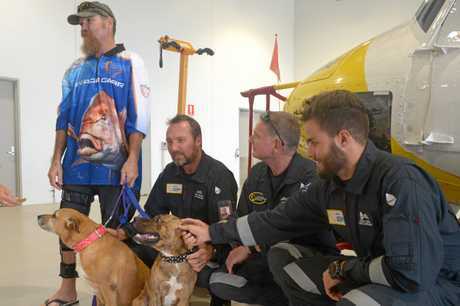 "I want to thank the bloke that found my dogs, Lee White,” he said. Having been a Yeppoon local his whole life, Mr Langley said he was very embarrassed by the situation he found himself in on Saturday. "It was the scariest and most stupid thing I have ever done,” he said. "I have grown up in Yeppoon all my life and been around Corio Bay since I was a kid and I still stuffed up. I am not afraid to admit I was wrong and I stuffed up. "People asked me if I was scared about crocs and sharks, and honestly that didn't even cross my mind, I was just worried about getting out of there without drowning. 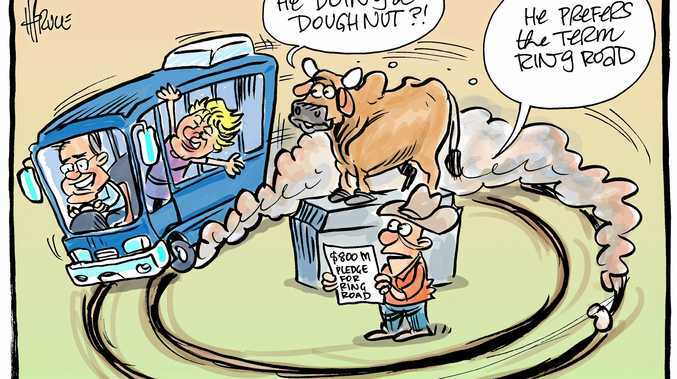 Adding that his family and friends have not, and will not, let him forget the incident, Mr Langley said he wouldn't be making the same mistake twice, and neither will Karma and Beans. "I have learnt a valuable lesson,” he said. "I've seen many cars go down out there, I've helped people pull them out and I've never taken the car out there and I will never take the quad out there again. "I think I will just stick to the boat from now on.